From its forest perch, a stealthy hunter is keeping a close watch on the floor below. Anything that moves is likely to be detected. 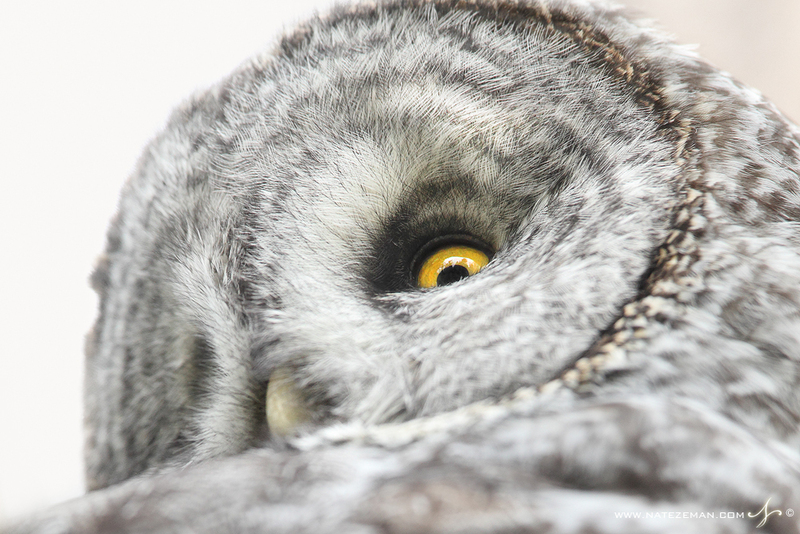 The great grey owl relies on its exceptional hearing to locate prey. Their large unmistakeable facial disc focuses sound to the owls ears, allowing it to precisely zero in on its prey. Once it has located a target, the owl's silent flight aids in the pursuit. I observed this great grey for quite some time. I watched in amazement as it swooped from tree to tree in absolute silence. In terms of length these are the largest owls in the world, but it is their keen senses and silent flight that makes the grey ghost such a succesful hunter. Owls have piqued the interest of the engineering community, who study their feathers and wings to better understand how they can move through the air so quietly, hoping to apply natures amazing technology to man made things like airplanes and submarines.